This course is an excellent combination of these two drugs. Testosterone Enanthate is an injectable steroid with an androgenic effect. 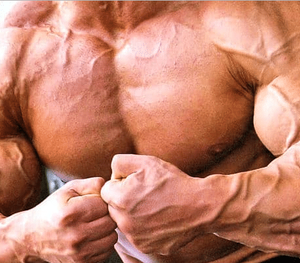 Danabol acts as an oral steroid, the effectiveness of which is a strong anabolic activity. With the combined use of these drugs, muscle mass and physical strength can be increased in a short time. Enanthate is one of the most potent testosterones. It promotes the retention of fluid in the muscle fibers, along with which protein retention and the necessary elements contribute to an increase in the mass of muscle tissue. It helps to saturate muscles with blood and oxygen. In addition to increasing the volume of muscle mass, so does physical strength and endurance during training. The duration of this course is 8 weeks. Testosterone Enanthate is recommended to take 250 mg. a week, 500 mg (250 2 times a week) can be used by athletes, whose weight is more than 75 kg. Danabol should be taken 10 mg 3 times a day for 9 weeks. Danabol is recommended before taking food, so it will be better absorbed. Also, after passing the course, PTC is needed, it is recommended to take Nolvadex after 9 weeks of the course, 20 mg every morning for 3 weeks.